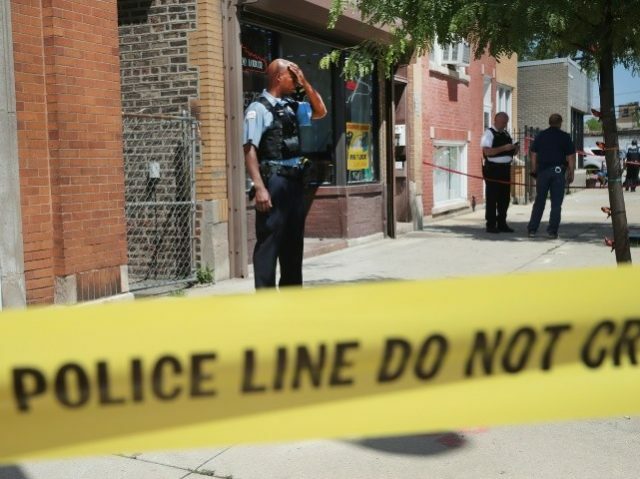 Gun-controlled Chicago is nearing 600 homicides for the second time since 2003. The Windy City currently sits at 593 homicides with over six weeks left before the year is over. Thirty people were shot last weekend alone, five of them fatally. Breitbart News reported there were nearly 800 homicides in the city last year and the Chicago Tribune reports that gun-controlled Chicago had 681 at this point in 2016. So 2017 has witnessed slightly fewer deaths, but is still on track to finish second in homicides. Much of the violence in Chicago has been without rhyme or reason. For example, there was a party Saturday night for a gentleman who would have had a birthday, had he not been killed in August. A 37-year-old woman attending that party was shot to death. On September 3, Breitbart News reported that five people were shot during a four-hour time frame and seven people were shot and killed on Tuesday, February 21, alone.